If the Armory Show is one of the most significant exhibitions in United States history, then the most important question is, how did they choose the works that would be in it? It’s a complicated story with lots of intrigue and controversy (check out our exhibition catalogue coming in October for details), but in short, the exhibition was organized by a group of twenty-five artists called the Association of American Painters and Sculptors. They started out planning to exhibit only their own works and those of like-minded colleagues, since they felt that American artists experimenting with progressive techniques didn’t have enough exhibition opportunities. But the show evolved into an exhibition of the latest in both American and European art, and even though it’s remembered for bringing the European avant-garde to the American public, half of the works in the Armory were by Americans. The artist-organizers chose European art and American art for the show in very different ways that reflect their different aims. A.A.P.S. 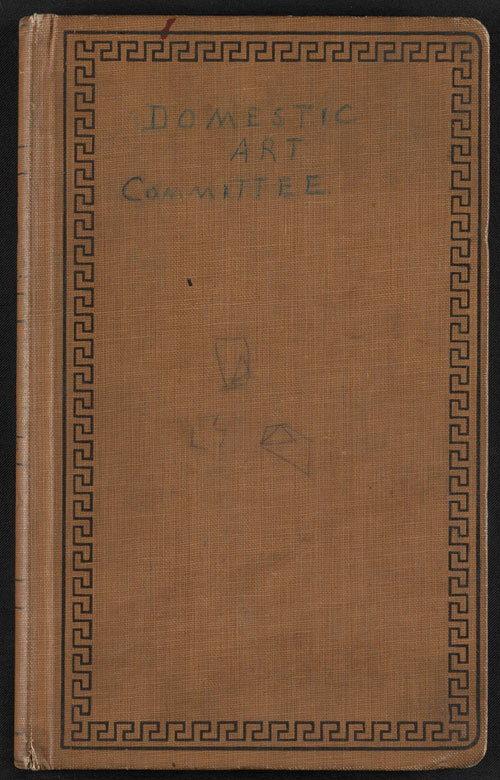 President Arthur B. Davies and Secretary Walt Kuhn traveled to Europe in fall 1912, and with the help of Walter Pach, an American expatriate artist living in Paris, they visited artist’s studios, dealers, and collectors and selected works by Marcel Duchamp, Henri Matisse, Constantin Brancusi, and many others. As a result, the European contribution was carefully focused. American art was a different story. It was common for groups of independent artists of the period to set up their own shows. The A.A.P.S. guaranteed exhibition space to its members, and they could all invite other artists to participate. When word began to spread about what was being called “the big show,” lots of other artists clamored to be included, so the A.A.P.S. made more selections. Here you can see the cover of the book they used to record who submitted works and who was chosen. As a result, the American art representation was richly diverse, and much more varied than the European contribution.